imagePROGRAF 8000 - American Business Copiers, Inc. 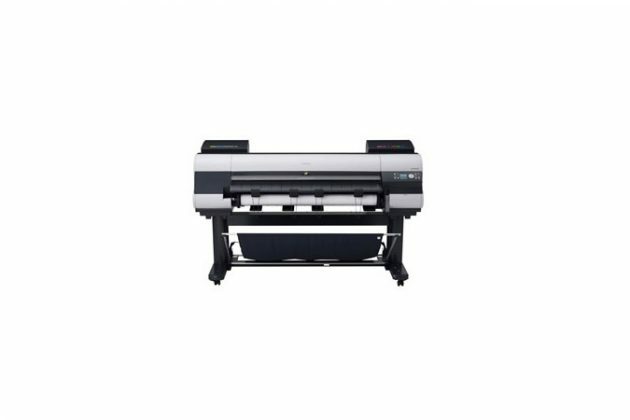 The Canon imagePROGRAF iPF8000, 44" inch printer takes the next step in redefining large format printing. The new iPF8000 is the ideal solution for any color professional looking for impressive full bleed color output, strength in paper handling and exceptional speed in output. 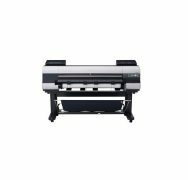 The Canon imagePROGRAF iPF8000, 44″ inch printer takes the next step in redefining large format printing. The new iPF8000 is the ideal solution for any color professional looking for impressive, full-bleed color output, strength in paper handling and exceptional speed in output. Advanced professional features such as automatic clogged nozzle detection and compensation for reliability, 330ml and 700ml selectable ink capacity sizes for versatility, a large backlit LCD panel for ease of use, and ink usage tracking for accountability are all part of the new iPF8000 to satisfy every color professional’s large format printing needs. The 12-color pigment ink system with LUCIA inks was designed to expand the spectrum of color for environments from professional photographers to graphic designers to print for pays. The 12-ink colors enable the iPF8000 printer to deliver outstanding color and neutral and stable grayscales. The Canon L-COA processor, which is dedicated to the imagePROGRAF, is designed to optimize the best quality output at the highest possible speeds. Vivid breathtaking, long lasting prints are achieved by combining Canon’s advanced technological achievements. The many built in features that make this printer easy to use and maintain, are the driving force behind this powerful printer. With the printer’s unique ability to print in unprecedented quality and speed along with the multiple media handling options and software suite, make the iPF8000 the ideal solution for all types of professionals. The iPF8000 is designed for reliability, simplicity, productivity and above all quality. Please call us via 615-754-2233 for exact product specifications.